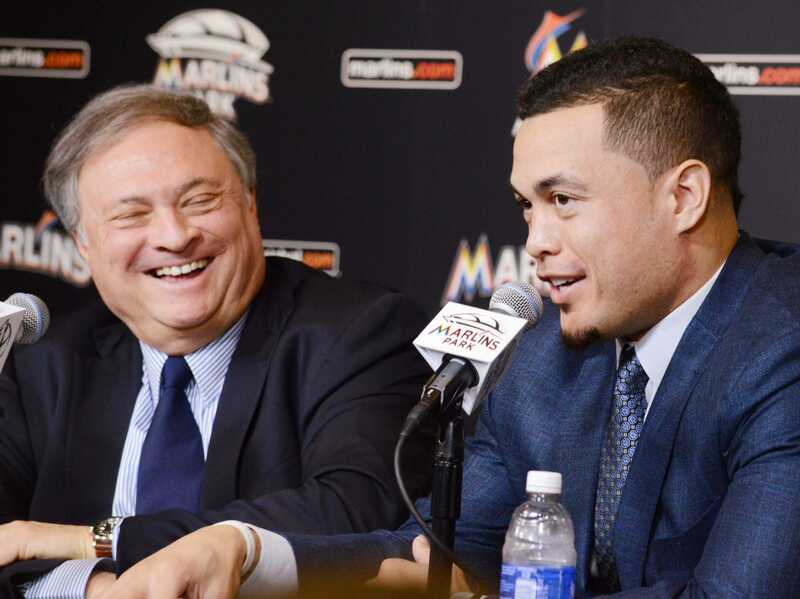 Zachary Fagenson/ReutersGiancarlo Stanton sits next to Marlins owner Jeffrey Loria. 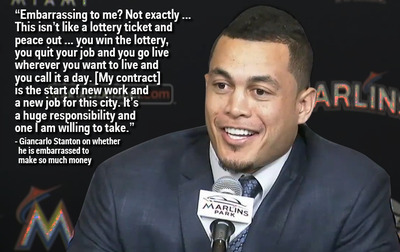 Giancarlo Stanton shocked the sports world and instantly became a household name when he signed a 13-year, $US325 million contract with the Miami Marlins, the largest in North American sports history. That total, which is guaranteed and is about twice as much as Tom Brady has made in his entire career, is a figure most Americans can’t even fathom. So, at Stanton’s press conference to announce the contract signing, one reporter asked the slugger if he was embarrassed to make more in one day ($US69,000 on average throughout the contract) than most Americans make in an entire year. 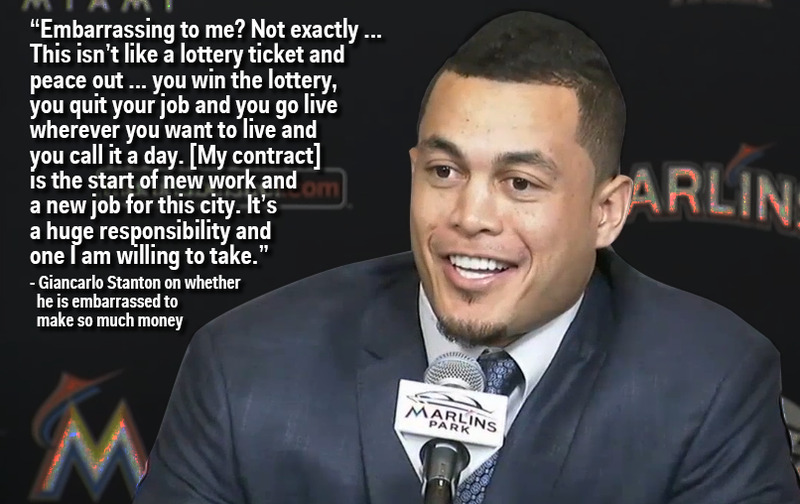 What Stanton did not point out is that a lot of work went into getting to where he is. While many Americans work hard, Stanton happens to do it in an industry with a lot of money and he does it as well as anybody else in the world. You can see the question and full answer at FoxSports.com.